The office market performed relatively better, with the first half of the year showing the highest transaction volumes for H1s in six years. Transaction volumes in India’s top markets were up 13 percent, with Bengaluru clocking the highest number of transactions. 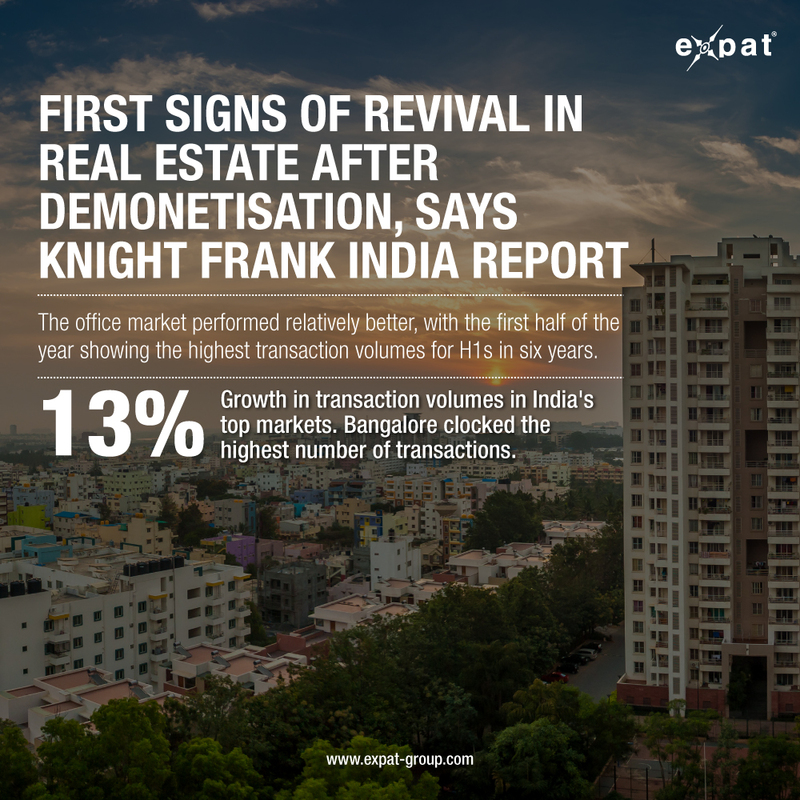 Real estate consultant Knight Frank India’s H1 realty report reveals some green shoots in an otherwise sluggish real estate market. The good news first: sales and launches in India’s property market are the highest they have been since demonetisation. The bad news: that’s not good enough, according to industry watchers. 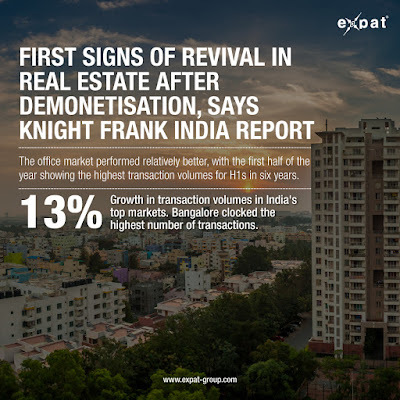 Indian real estate was in a sluggish phase even before the triple shocks of demonetisation, the rollout of Goods and Services Tax (GST) and the introduction of a new real estate regulator – a return to normalcy, therefore, is not much more than a step in the right direction. Even so, there are some things to be happy from the findings of Knight Frank India’s report on the performance of the industry between January and June 2018, that looks at country’s eight biggest residential and office markets. The housing sector is on a slow mend – on a low base, launches for the first six months of 2018 were almost 50 percent higher than the corresponding period a year ago, with just under 92,000 housing units being launched. Around 74 percent of new launches were housing units being sold under Rs 75 lakh, which clearly shows the affordable housing story playing out. Mumbai and Bengaluru led the way, accounting for almost 60 percent of units launched, and the otherwise sluggish National Capital Region (NCR) market saw new launches grow by 90 percent to 9,000 units. Bengaluru led on the sales front as well, clocking a 22 percent growth to sell over 25,000 units in the first half of the year. Mumbai and NCR displayed modest growth of one percent and five percent respectively, together accounting for 50,000 units sold. The average project life cycle, which is the amount of time taken between the launch of a project and the sale of the last house in that project, remains high at six years. In a boost for potential homebuyers, prices continued to slip downwards in major markets – Hyderabad was the outlier, showing an eight percent growth in prices over last year, and India’s most expensive property market showed the biggest decline in price growth, with houses nine percent cheaper than they were last year. Neighbour Pune was close behind, with an eight percent fall in the price of houses and NCR prices remained roughly the same as they were last year. A total of 21.5 million square feet of office space exchanged hands during these six months, but trends showed that demand for Grade A office space continues to outpace supply. Vacancy levels across these markets dipped to 12 percent as compared to 18 percent in 2014. In an interesting trend, co-working spaces accounted for 13 percent of all transacted space during these six months.